I plan to revive this empty shell of a blog at some point… In the meantime, may I interest you in a photo of the best place in Glasgow at the moment? £3.50 for a lamb shawarma wrap to absolutely die for, which was the size of a small child, and they gave me a complementary lentil soup while I waited! 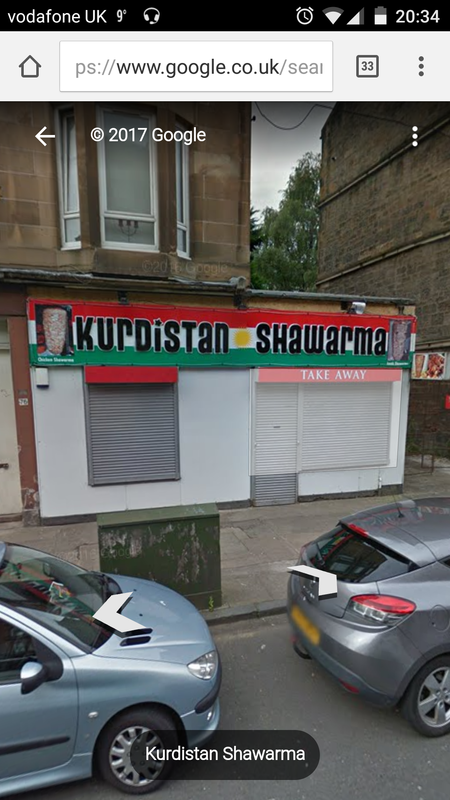 A proper review will follow but, if you get a chance, the Kurdistan Shawarma on Calder Street in Govanhill is well worth your custom.